Home/ Thinking of changing your party affiliation for the primaries in Randolph County? It has come to our attention that Democrats around the county are being courted by Republicans and Libertarians associated with the upcoming 2018 Sheriff’s elections to change their party affiliation to Unaffiliated in order to vote in the Republican or Libertarian primaries for certain candidates. While a voter’s affiliation is their own choice, we would like to remind Randolph County Democrats that if you change your party affiliation to vote in the Republican or Libertarian primary you will be locked in to voting on that party’s ballot only. You will not be able to cast a vote for any Democratic candidates in the 2018 Primary election. We have two people in the running for the 6th Congressional District nomination. The winner of this Democratic Primary will be running against Republican Rep. Mark Walker in November 2018, which makes this a very important election. We need all our registered Democrats to vote for their preferred Democratic candidate. We encourage you to remain registered Democratic and let the Republicans and Libertarians hash out their own problems. Unaffiliated voters may choose one party’s ballot (Democratic, Republican or Libertarian) and will only be allowed to vote on candidates affiliated with the party whose ballot they chose to vote. 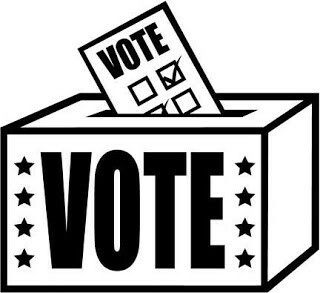 In the general election in November, voters may vote for whomever is on the ballot, regardless of party.